Often times people have trouble distinguishing between greatness in the eyes of society and greatness for the everlasting evolution of humanity. Greatness is not defined by material possessions, paid for speeches, or political status; it is defined by the rate at which you push forward humanity. Not only did Rev. 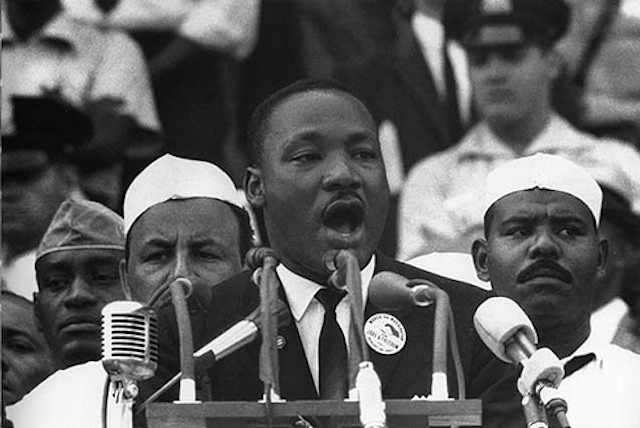 Martin Luther King Jr. provide leadership to the African- American Civil Rights Movement, he pushed an agenda of equality into the Western culture. MLK pushed for civil rights and an end to discrimination. What makes him truly great is that his actions pushed forward a broken system. In Montgomery, Alabama, King ran a boycott against city buses because blacks were not allowed to sit in the front seats of the bus. The boycott grabbed so much attention that he and his followers were sent to jail. Eventually the rules were changed and blacks were allowed to sit in the front seats of the buses. The reverend fought against the segregated policies in place. I admire Dr. King, because instead of changing the people within the system, he fought to change the system. His effort have been recognized since both by African Americans and whites and without his basis of thinking, the civil rights we have today may never have happened. King inspired me to achieve greatness for humanity instead of just greatness for myself. He is one of the truly great leaders of the past century and inspired me and millions of others to push against a broken system, and make it work for all the people of the system, not just the majority. These efforts are still being felt today. We are living within a broken system, as the U.S. justice system is targeting people from low-income areas with high drug use. Many citizens’ cvil rights are being violated as people are being arrested and there has never been more tension between the people and law enforcement. People want change, but there is no longer a leader like Martin Luther King Jr.; somebody who is constantly working to change the system, not the people within it. America has a battered past when it comes to the civil rights of minorities. However, while there is a war going on in the streets we must remember that the war is not against the people within the system, but with the system itself.